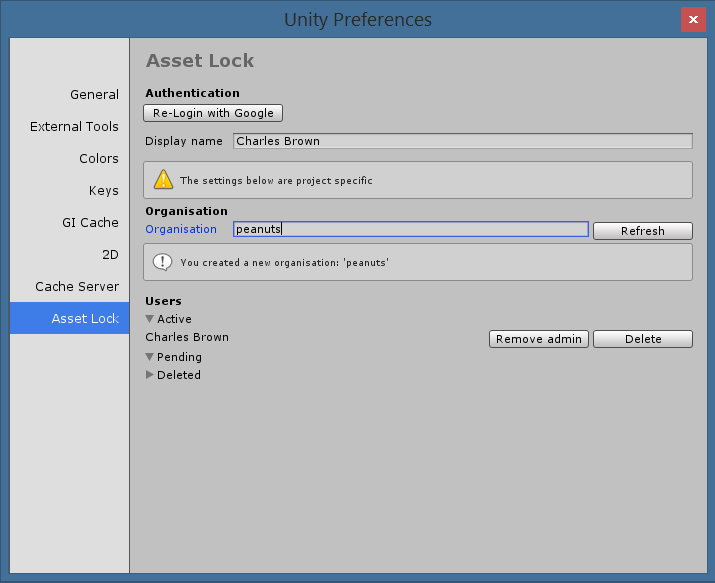 Start by going to the Unity preferences screen. Click ‘Login with Google’ to authenticate yourself. 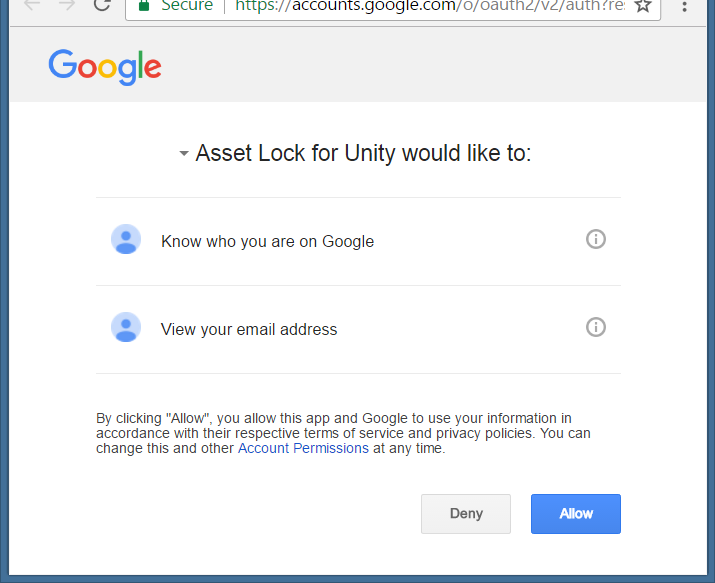 Asset Lock uses Google accounts to authenticate your users, so click ‘Allow’ to let Asset Lock read the user mail address and name. After authenticating, you can connect to either an existing organisation, or create a new one. Enter an organisation name and click ‘Connect’. If you are the first person to connect to an organisation, you will automatically create it and you will be the first Admin. 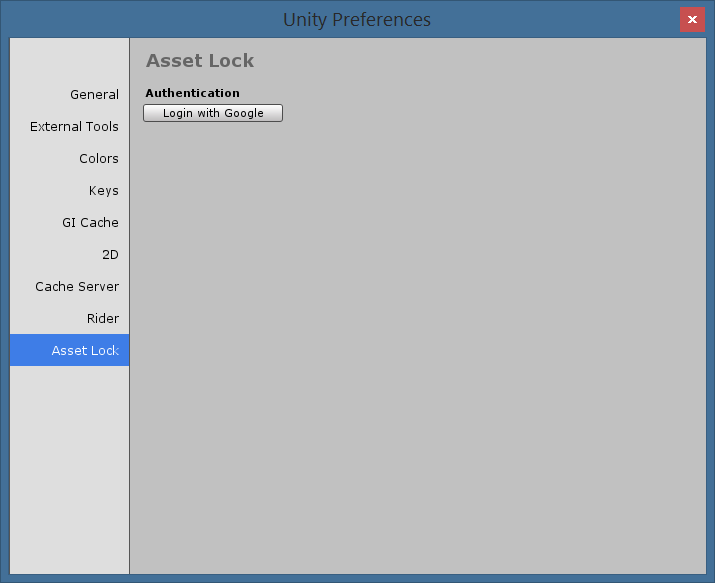 If you connect to an existing organisation, the Admin needs to Activate your account first before you can see the locked files. As an Admin, you can see other users and Activate their accounts, delete their accounts or make them Admin as well.